Eta Technologies LLC is a Connecticut (USA) based company providing engineering consulting services and replacement parts for the land-based industrial gas turbine (IGT) industry. The company was formed in 2004 by the two principals, namely John Kearney and Richard Curtis. 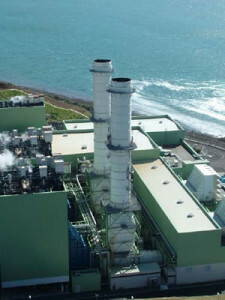 During their previous employment with various IGT parts and service providers, these two engineers developed and implemented component repairs, upgrades and new aftermarket parts for a wide variety of power generation gas turbines, and provided technical assistance to clients involved in gas turbine operations and maintenance. Also in this prior employment, specialty or “niche” capabilities were developed with respect to Siemens V-series engines, in which extensive experience with component repairs and upgrades was gained, and sources developed for manufacture of many of the capital and consumable parts utilized in these gas turbines. With the founding of Eta Technologies, an independent and experienced provider of gas turbine engineering consulting services was thus established, with a particular specialty in parts manufacture and repair/coating/upgrade services for “V” series machines. Eta Technologies LLC offers services for all types of gas turbines, especially in the areas of gas turbine condition assessment, component manufacture and repair, engineering project management, root cause analyses and metallurgical evaluations. The company offers outage technical support, critical component assessment, metallurgical expertise and assistance with parts manufacture and repair, serving either as prime contractor or providing technical/commercial guidance. Eta Technologies LLC continues to grow the “V” machine capital and consumable parts supply business, which features a complete offering of B3/B5 list consumable parts for most V-series machine types. A true value provided by Eta Technologies to customers is the application of our extensive backgrounds and experience to allow a shift in focus from “lowest cost of production” for a part (the OEM’s philosophy) to “lowest cost of ownership.” Components are not simply reverse engineered, manufactured or repaired, but rather the extensive knowledge of gas turbine engines within the company is utilized to offer improvements where needed. This is often accomplished through material upgrades, addition of protective coatings for oxidation/corrosion control and wear resistance, and improvements in geometry, tolerance and clearance control.